This is the most complete list of FrSky receivers. A lot of new small and lightweight receivers were introduced lately. We will try to look over all of them. Leave a comment if we have missed any in this roundup. The smallest and the lightest (and the cheapest) FrSky receiver with full telemetry support up to date! This receiver is based on (or copied from) FishPepper design (http://fishpepper.de/projects/usky/). 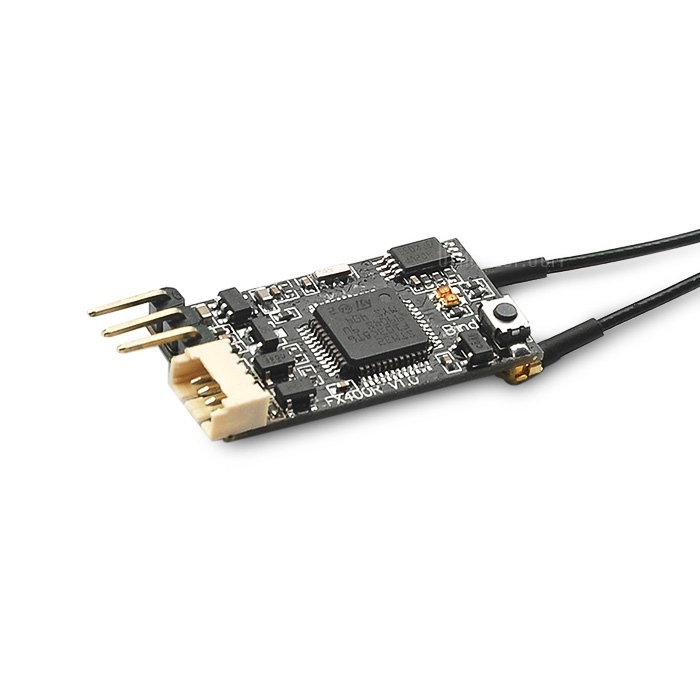 It has full analog and hub telemetry support and digital SBUS output and runs it runs open source firmware. 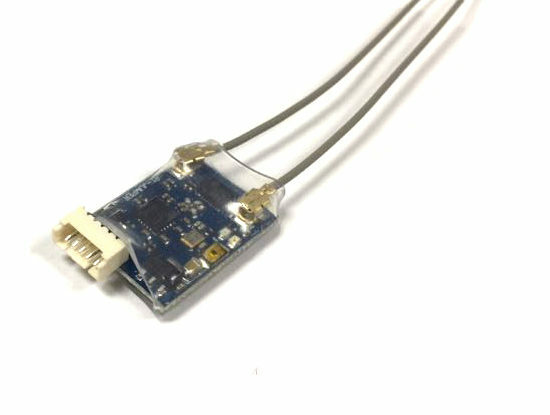 This is an updated version of RX803, which is a copy of FishPepper designed uSky receiver using OpenSky firmware. The remake added 3.3V voltage regulator, so it now accepts power voltages from 3.3v to 5V. Also bind button was added for binding procedure convenience. Supports failsafe on SBUS output. Note: comes without wires, you need to solder them by yourself. 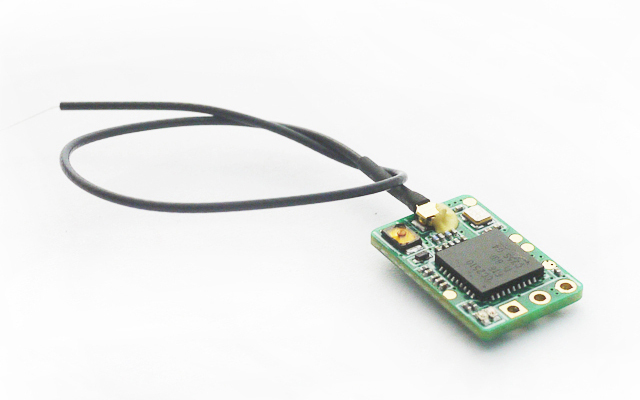 Compatibility: Compatible with Frsky X9D(D8 mode) transmitter,XJT(D8 mode),DJT,DFT,DHT module. With SBUS and PPM output,with RSSI two-way data return. With Failsafe function,but only support CH3,please keep your throttle channel on CH3. 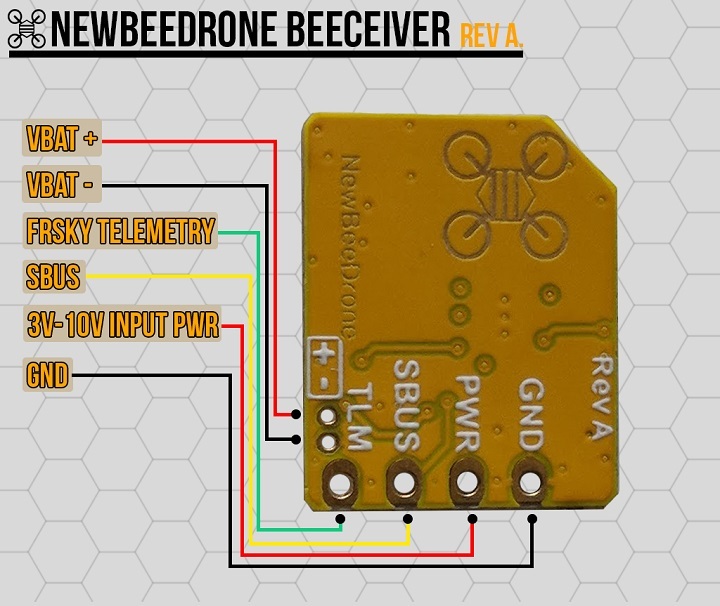 This receiver was included in the telemetry receivers group because it can be flashed with custom firmware with two way communication and telemetry. See links below. 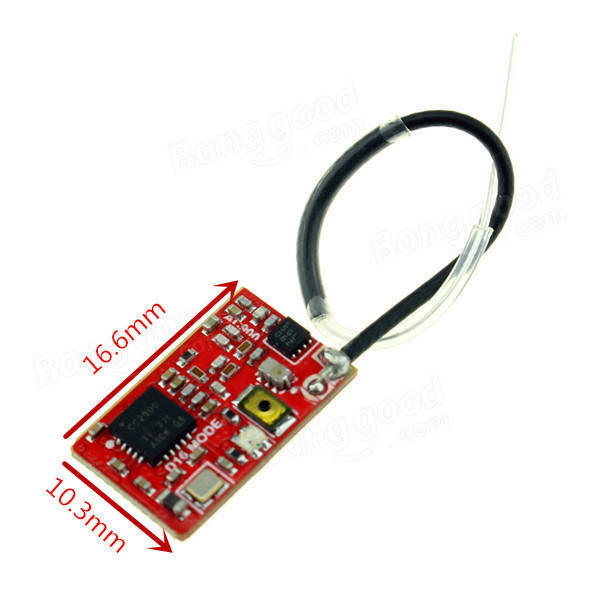 • Can be update the firmware for two-way transmission, two-way transmission suit for indoor FPV, With the use of Cleanflight have RSSI feedback signal. • Suit for Eachine Tiny QX90, QX80 Micro Racing Quadcopter. 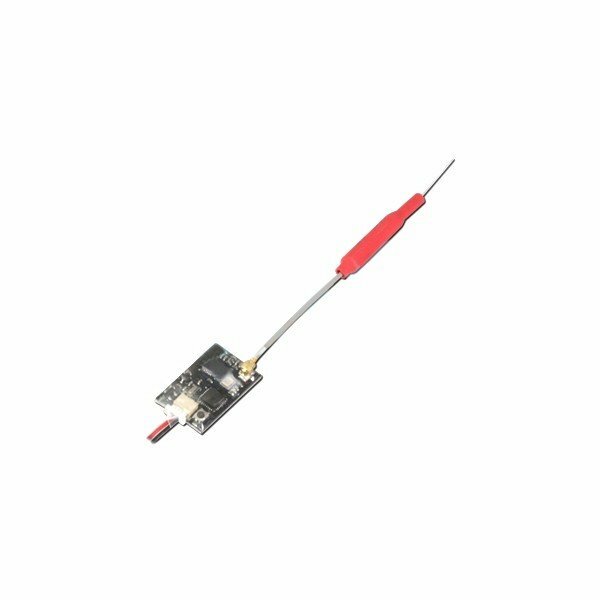 Integrated Smart Port / Dual-way Telemetry / Compatible with FrSky D16. It appears that this is a copy of Frsky XSR receiver. It can be flashed with the same XSR firmware FCC ans EU-LBT versions. Frsky receiver with 20x20mm mount holes. 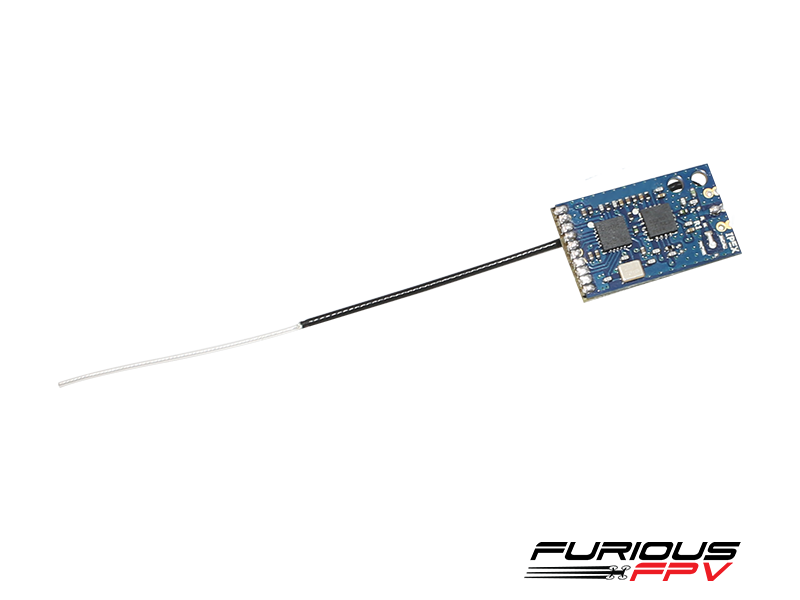 A copy of FuriuosFPV LR1000 mini receiver. A new receiver, with only a few details. We can see it is full range receiver as it has got PA-LNA (amplifier) chip on board. 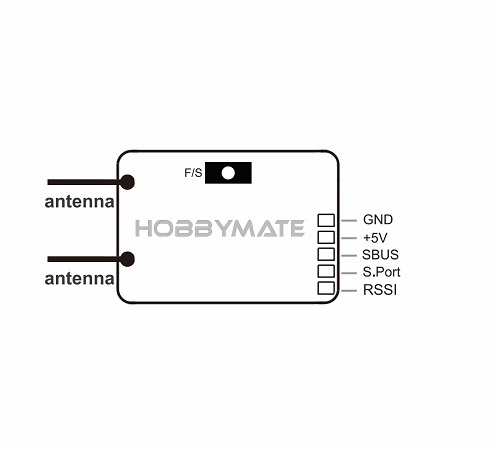 Antenna is connected via u.FL connector and it does have bind button. 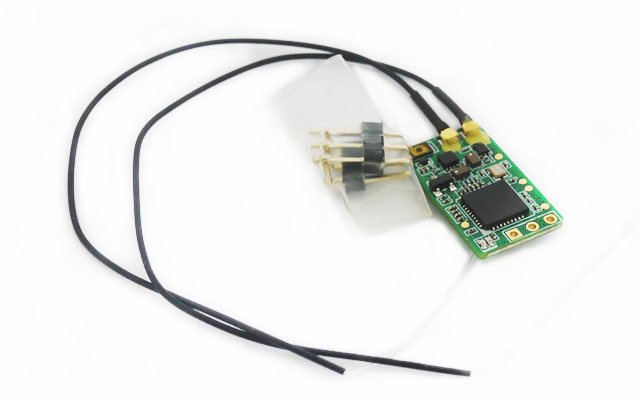 Compatible: frsky X9D / X12S / X7 remote control (D8 mode), XJT (D8 mode), DJT, DFT, DHT and other TX module. 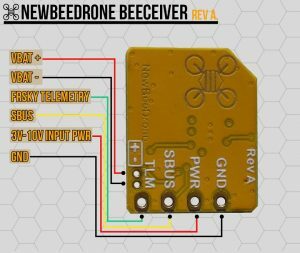 This small RX by FuriousFPV is a full range receiver with 1.5KM of reception range. 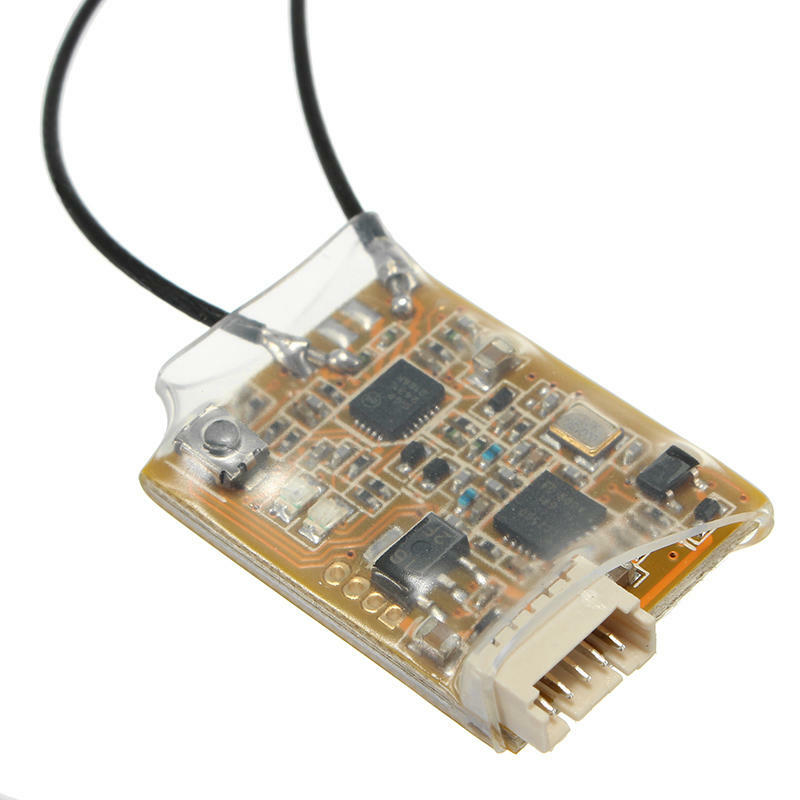 It is coated with Water Proof & Dust Proof coating, has SmartPort telemetry and SBUS out. Smaller and lighter than XSR, but it is pricey! A cloned XSR receiver. 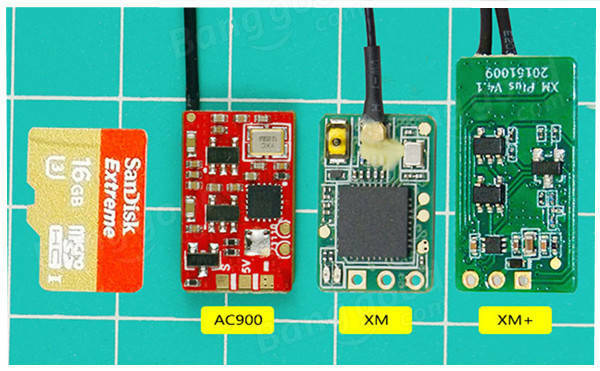 The same PCB layout, the same Frsky XSR firmware is used, the specs are the same. It is a bit cheaper than original XSR and is up to you whether it is worth saving a few $ and getting cloned receiver instead of the original one? 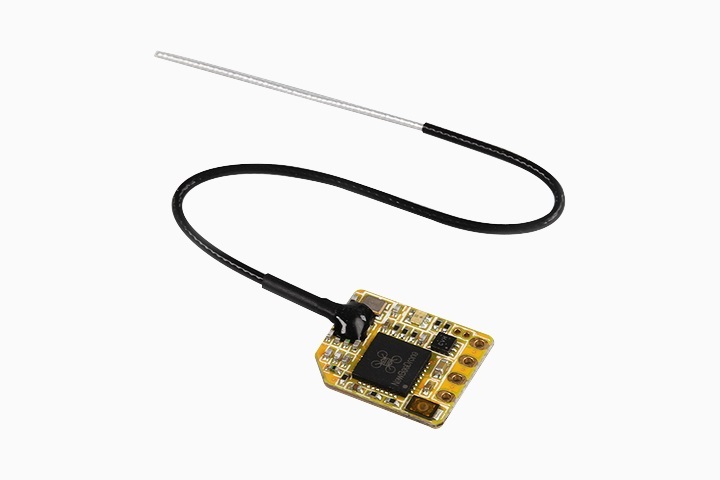 Frsky receiver with the size like XM+ (21x15mm), and with the functionality like RXSR. 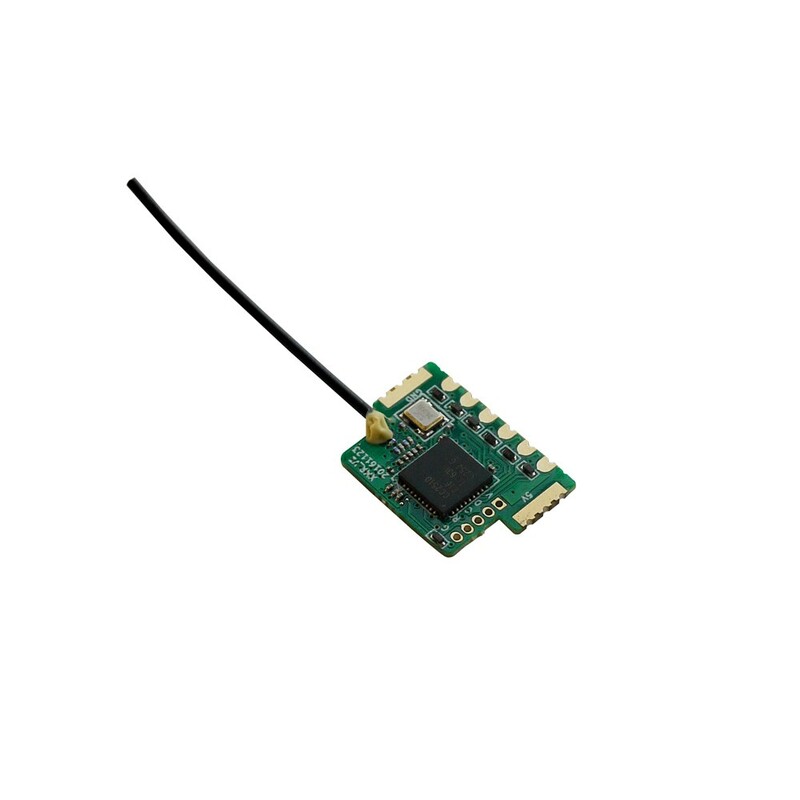 It in compatible with D16 mode, outputs SBUS signal, has S.Port for telemetry and also has analog RSSI output. Small (16x11mm) and light (<1g) receiver. 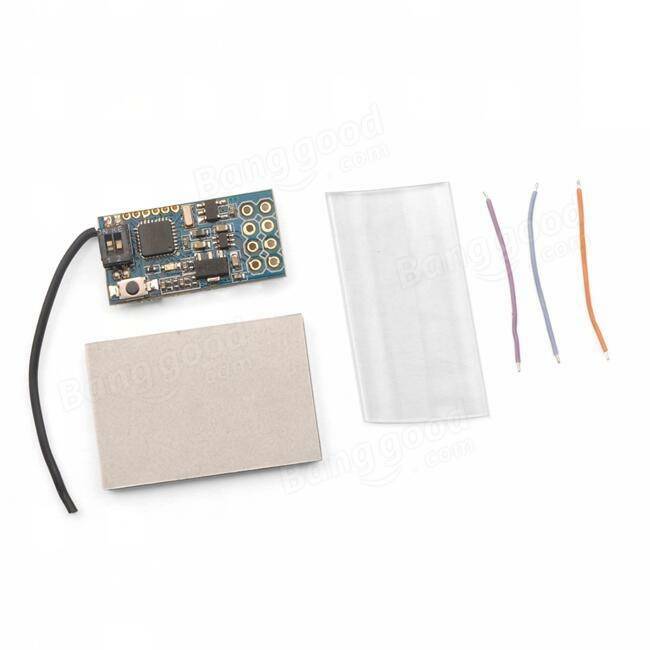 This receiver works in D8 mode, has telemetry pad and wide power supply voltage range (3-10V). 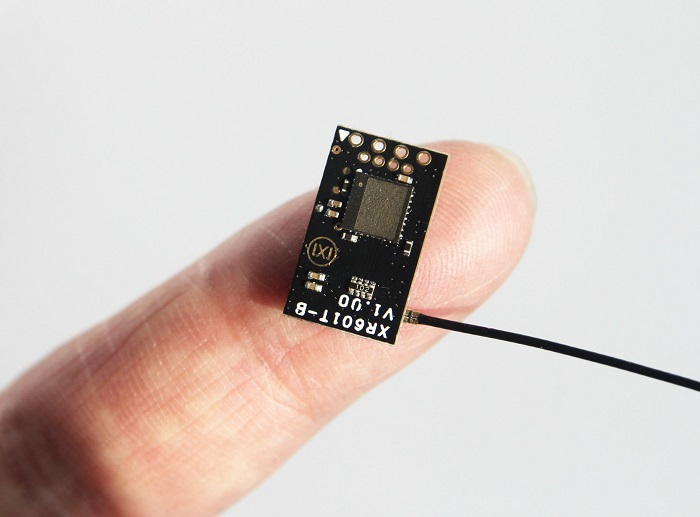 The lightest (1gram) of the mass production Frsky receivers. 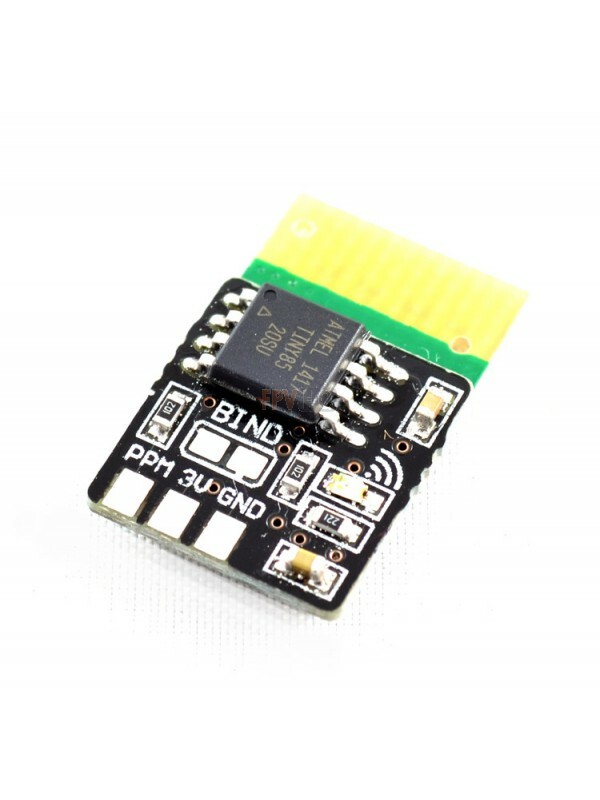 Does not have telemetery, but there is a RSSI pad, that can be connected to your OSD to show signal strength. Supports up to 16 channels and can output RSSI on one of the channels. Works in D16 mode. 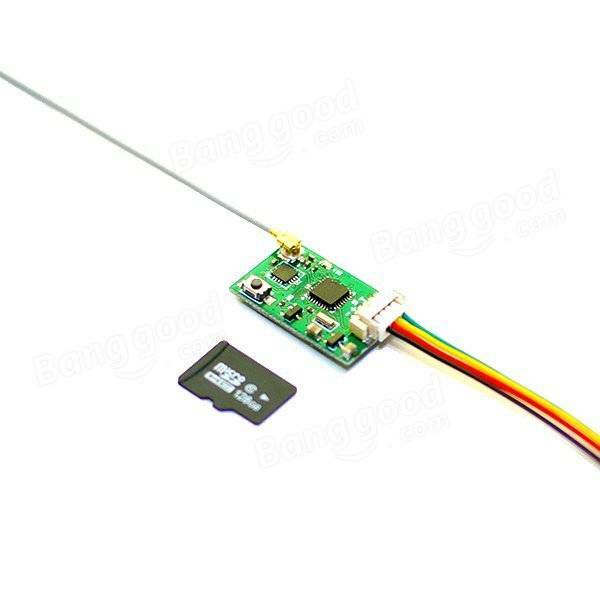 This is very light (1.6 gram) Frsky receiver. Also does not have telemetry, but has RSSI pad instead. It is full range receiver with ranges up to 1km and more. Supports up to 16 channels and can output RSSI on one of the channels. Works in D16 mode. Lightest Frsky receiver (0.6-0.8 gram) with PWM outputs. Features built-in 6CH PWM output pads. Suits perfectly for the indoor mini Fixed-Wing and park flyers. Works with transmitters in D16 mode. The first 1g receiver outputing 8 channels PWM, PPM and SBUS. 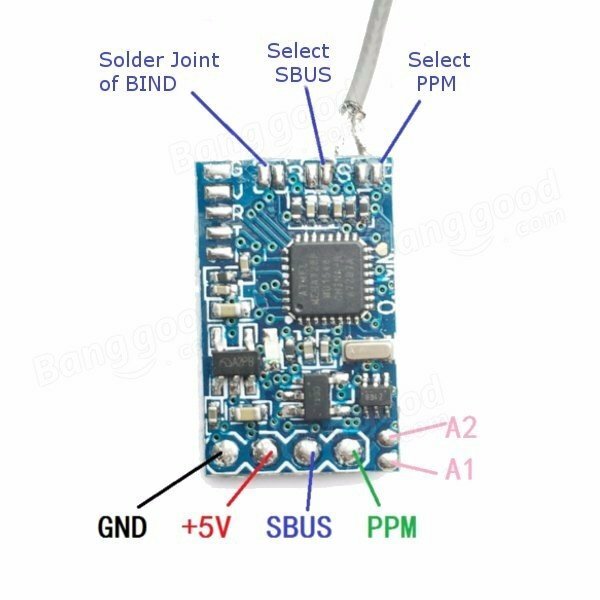 PPM and SBUS are selectable by soldering dedicated pads. The size and versatality is amazing. The only drawback – it works in D8 mode. 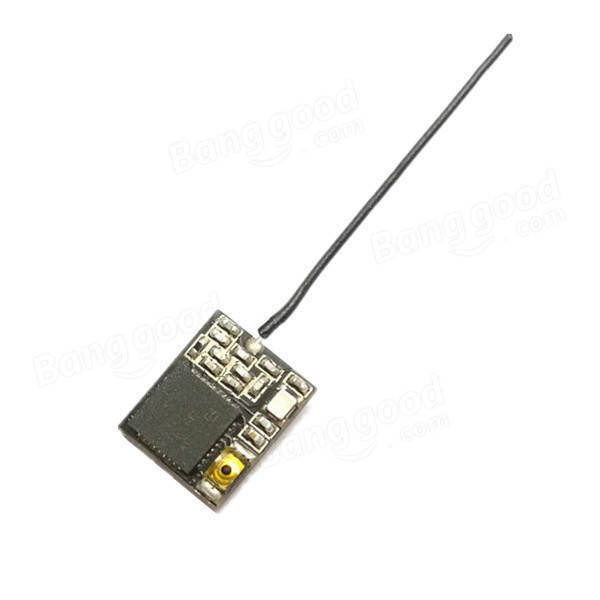 Small sub gram Frsky D8 mode compatible receiver with integrated antenna. No telemetry but has basic Failsafe on throttle channel. Notes: Range is limited. Great for backyard flying. The modules are rated for 300 meters. But this can depend on many factors such as terrain and wifi. I would NEVER put this on a 250 quad. This should only be used for micro’s. One of the cheapest small Frsky receivers, working in D8 mode. 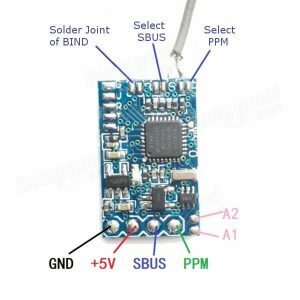 You can select the desired output type to PPM or SBUS by shorting the apropriate soldering pads. Delared range is 300+ meters. This receiver has failsafe on throttle (third) channel only! 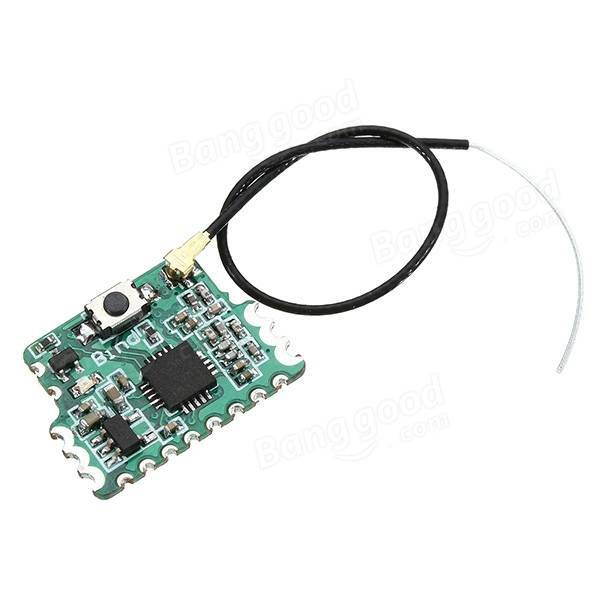 Hardware wise it is similat to 8CH D8 Mini FrSky Compatible Receiver. 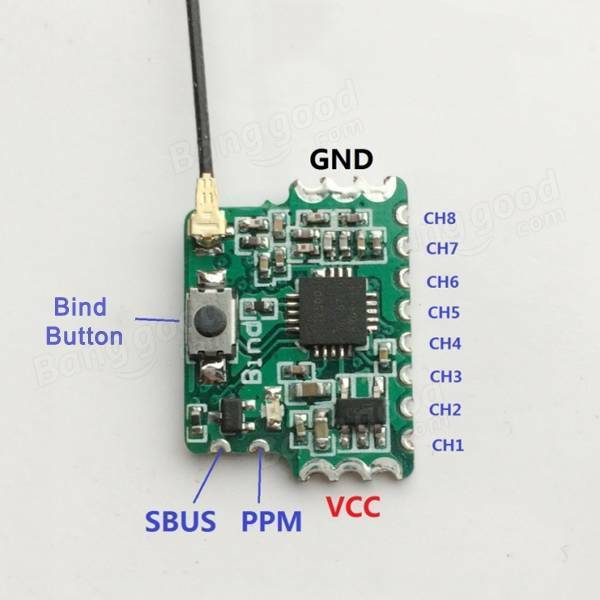 Support flight control of PPM or SBUS interface, such as CC3D NAZE32 F3 F4 and so on. This receiver works in two modes: FrSky D16 or Futaba S-FHSS. Receiver has LNA chip (Low Noise signal Amplifier) so it should have longer working range up to 500m. 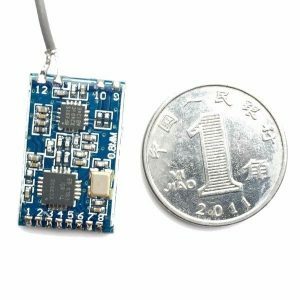 It is very small (10.3×16.6mm) and light receiver – weight is less than a gramm (0.9g). 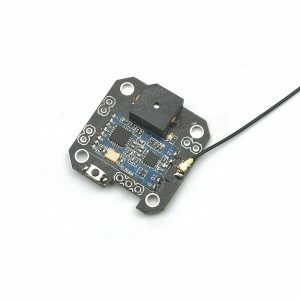 – Support Futaba S-FHSS and Frsky D16 ( No Telemetry ) dual receiver mode. – S-FHSS mode support 14SG, 16SG, 18SZ, 18MZ etc. – D16 Mode support X9D, X12S etc. – with high-performance discrete LNA chip. – Receiver working range is 200m, air distance about 500m. XR600 series receiver is a newly designed receiver by Oversky. It has small size (10*17mm), small weight (0.6 gram) but has LNA (LowNoiseAmplifier) so should have longer range control distance compared with other sub gramm receivers on market. Supports online firmware updating (not sure how ? ), supports SBUS and F.PORT output at the same time (really ?). So the specs are promising, but someone should test it to verify these statements. Oversky has whole line of the XR600 series receivers for Flysky, DSM, Futaba and Frsky. The XR602T-B2 receiver works with D8 protocol and XR602T-B3 receiver works with D16 protocol.